Nearly two decades in, is the Top 10 Percent Law working? In the late 1990s, the legal grounds were shifting beneath UT. The 1996 Hopwood v. Texas decision banned affirmative action in college admissions after four white applicants to UT Law brought a case against the institution. The justices of the U.S. Fifth Circuit Court of Appeals sided with the plaintiffs on grounds of equal protection. The university could not use race in admissions. At least not until 2003, when the Supreme Court struck down the precedent in Grutter v. Bollinger. But then, as now, lawmakers could not predict the future. Nor can they predict the swift, fast-moving current of judicial decisions and counter-decisions. So in 1997, the 75th Texas Legislature passed House Bill 588, and with a single document, fundamentally changed the nature of admissions at the state’s public universities. The bill caused a massive amount of change at UT-Austin in particular, but it also transformed the question of college for a generation of Texas students, families, administrators, and state officials. The law mandates that all students who graduate in the top 10 percent of their class at a Texas high school are automatically admitted to any state university. It was big, brash, idealistic legislation, and it was designed to diversify the state’s universities without using affirmative action. Limiting the criteria to class rank alone meant that students would come from every socioeconomic level and geographic corner of the state. It became known as the Top 10 Percent Law. By 2008, more than 80 percent of incoming freshman at UT-Austin were admitted under the rule, leaving the university to choose less than 20 percent of its own incoming class. Then-chancellor Francisco Cigarroa and UT-Austin president Bill Powers appealed to the 2009 Texas Legislature to cap automatic admissions at 50 percent of each incoming class. Without action, they predicted, UT wouldn’t be able to admit any students from outside the U.S. or Texas by 2015. 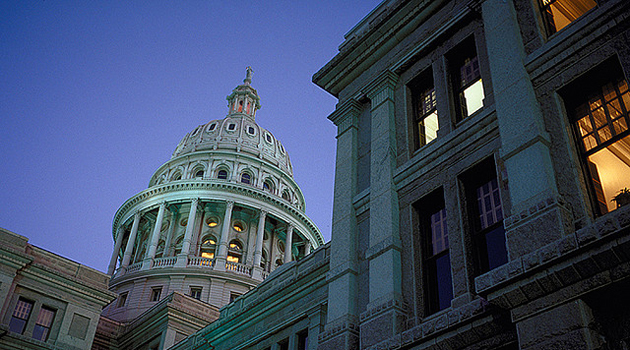 Legislators intervened specifically for UT-Austin, but compromised on a 75 percent cap. Since then, the university has admitted the top one percent, two percent, and so on until it reached the cap, which means that for the incoming class of 2019, UT-Austin’s top 10 Percent Law is really a top eight percent rule. While applications from minority students more than doubled in the first 10 years of the law, its success is still debatable. A 2012 Princeton study of UT and Texas A&M concluded that the law actually benefited white students more than Hispanic students. While test scores rose at smaller state universities, applicants at the flagships came from more affluent, less diverse high schools and graduates from poorer schools, particularly Hispanic graduates, were less likely to apply. In a state-required report compiled in the fall of 2014, UT officials noted that between 2013-14, African-American and Hispanic representation actually decreased, as did the number of admitted and enrolled first-generation students and those from lower socioeconomic groups. One of the barriers to coming to UT, presumably, is cost. If, for example, you come from San Perlita, at Texas’ southern tip, where more than half of residents under 18 live below the poverty line, heading more than 300 miles north just to pay tuition, rent, and buy books for at least four years is a daunting prospect. In response to the declining numbers from populations meant to be served by the law, UT has launched the Texas Advance scholarship program, which the university says could essentially offset tuition when paired with state and federal aid. The law has, perhaps more indirectly, caused other strains. The 25 percent of students not admitted automatically are selected by a process called holistic review, which takes into account traditional admissions metrics, like extracurricular activities and achievements, essays, test scores—and since the 2003 Grutter decision, race. When UT applicant Abigail Fisher was denied entry to UT in 2008, she brought a discrimination case against the university. Fisher, who is white, claimed that she had been denied admission because the university gave prefernce to minority applicants, and that such a practice was inconsistent with the Grutter decision, which required consideration of race in admissions to be “narrowly tailored.” Fisher lost her initial case, and appealed to the U.S. Supreme Court in 2012. The court eventually vacated the earlier ruling but did not rule in favor of either the university or Fisher, sending the case back to the lower courts, which once again ruled in UT’s favor. All of this, the attorneys’ fees, news coverage, and years of court battles—which may well continue on—could have been easily avoided if Fisher had graduated in the top 10 percent of her class. Because she didn’t, she was subject to the holistic review process. Fisher has claimed that less-qualified students were admitted because of their race. In 2008, the year she applied, however, more than 90 percent of the in-state spots in the freshman class were full before Fisher’s application was even considered. Once it was, it’s far more likely that Fisher’s lackluster GPA and test scores tanked her application. As ProPublica notes, the competition for non-automatic admission to UT in 2008 was tougher than getting into Harvard. That competition is the direct result of the Top 10 Percent Law, which seems to have limited effectiveness when it comes to the goal of diversifying UT. The inclusion of race as a factor in holistic admissions speaks to that fact, as the university noted over the course of the Fisher case. UT needed to take race into account exactly because Top 10 hadn’t gone far enough. While a handful of bills relating to the rule have been filed during the 2015 legislative session, only one would fundamentally change it, even then only altering it to automatically admit students from the top eight percent. That rule wouldn’t change much at UT, which is already essentially a top eight percent institution. Despite questions of its effect and effectiveness, it seems the law will stick around, at least for a while.